Just as an example, let's say you are borrowing $250000.00 for 30 years with an interest rate of 5.000%. If the value of your home is $300000.00, your property taxes $3,000.00 per year and your insurance is $1,500.00 per year, you can expect to be making a total payment of $1,821.22. This is because you need to pay $1,342.05 toward the actual loan, plus $250.00 for real estate taxes and $125.00 toward insurance. How much money could you save? Compare lenders serving Pasadena & find the best 30-year mortgage rates available today. By default 30-year purchase loans are displayed. Clicking on the refinance button displays current refi rates. Additional loan options are listed in the drop down filter area. Figuring out whether you can afford to buy a home requires a lot more than finding a home in a certain price range. Unless you have a very generous — and wealthy — relative who's willing to give you the full price of your home and let you pay it back without interest, you can't just divide the cost of your home by the number of months you plan to pay it back and get your loan payment. Interest can add tens of thousands of dollars to the total cost you repay, and in the early years of your loan, the majority of your payment will be interest. The most significant factor affecting your monthly mortgage payment is your interest rate. For example, on Nov. 27, 2013, the average national rate for a 30-year fixed-rate mortgage was 4.33 percent. If you buy a home for 200,000, which is under the national average, your monthly payment would be $993.27, and you would pay $157,576.91 in interest alone. If your interest rate was only 1 point more, your payment would increase to $1,114.34, and you would pay $201,161.76 in interest. Getting the very best interest rate that you can will significantly decrease the amount you pay each month, as well as the total amount you pay over the life of the loan. A 30-year fixed-rate mortgage is the most common type of mortgage. 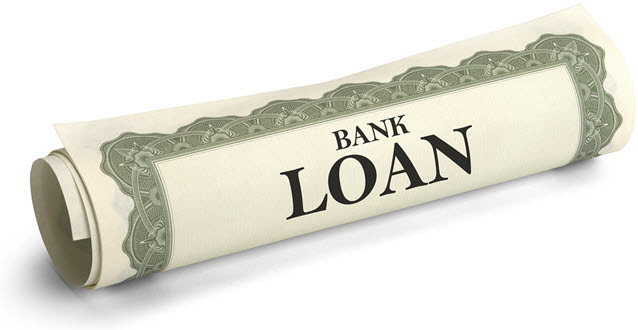 However, some loans are issues for shorter terms, such as 10, 15, 20 or 25 years. Getting a loan with a shorter term can raise your monthly payment, but it can decrease the total amount you pay over the life of the loan. For example, for that same $200,000 house with a 4.33 percent interest rate, your monthly payment for a 15-year loan would be $1,512.67, but you would only pay $72,280.12 in interest. You would also pay off your loan in half the time, freeing up considerable resources. Unless you come up with a 20 percent down payment or get a second mortgage loan, you will likely have to pay for private mortgage insurance. PMI protects the lender in case you default on the loan. The cost of PMI varies greatly, depending on the provider and the cost of your home. However, you could pay as much as a couple hundred dollars each month for PMI, in addition to your principle and interest. Most lenders allow you to pay for your yearly property taxes when you make your monthly mortgage payment. Some may even require it. Your estimated yearly payment is broken down into a monthly amount, which is stored in an escrow account. Your lender then pays your taxes on your behalf at the end of the year. The amount may fluctuate if your county or city raises the tax rate or if your home is reevaluated and increases in value. Just like you have to carry insurance for your car, you have to carry insurance for your home. This protects you and the lender in case of a fire or other catastrophic accident. Most lenders allow you to include your property insurance in your monthly mortgage payment. Just like with PMI, the monthly amount is put into an escrow account, and the bill is paid on your behalf. Some homes — especially condominiums and town homes — are part of a housing community that includes a community pool, fitness center and other amenities, such as lawn care. If you buy a home in such a community, you will have to pay homeowner's association fees. The amount depends on the community in which you live, but the fees can be $100 to $200 per month. Using the above calculator can help you put together all of these complex variables to get a clear picture of your monthly mortgage payment so you know exactly how much to expect.